HELSINKI (WASHINGTON POST) - Russian President Vladimir Putin landed in Helsinki almost an hour late, tossed off his jacket while still on the tarmac and climbed into a new Russian-made limousine on its first foreign tour. Those were the first moments of Mr Putin's arrival for his much-anticipated summit meeting with his American counterpart Donald Trump on Monday (July 16) - and they underscored his honed ability to maximise the power of the image and the drama of high-profile, made-for-TV political events. As he has done with many other foreign leaders, Mr Putin kept Mr Trump waiting, landing about an hour after his scheduled arrival time. The car that then whizzed Mr Putin through Helsinki's blocked-off streets also symbolised the rising global prestige that Mr Putin has cast himself as bestowing upon Russia. 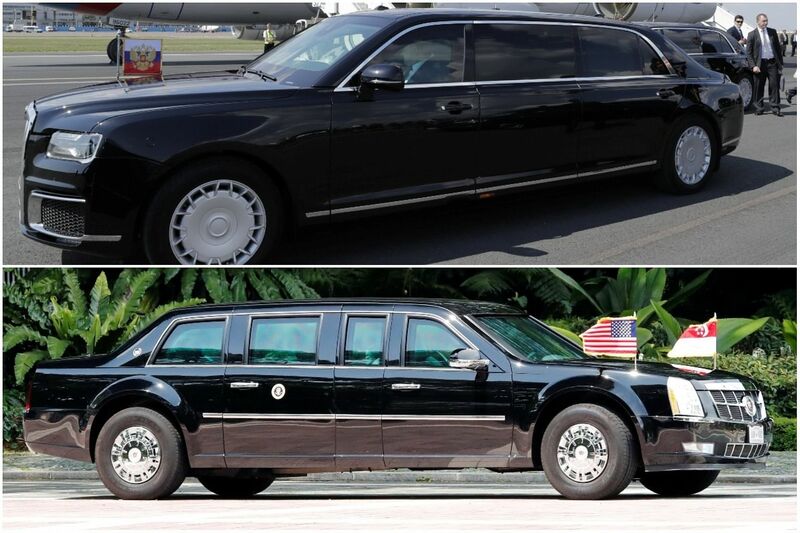 The car, called Kortezh - the Russian word for "motorcade" - rivals the US president's "Beast" limo in its imposing aura. It is around 6.7m long and 1.6m tall. Mr Putin took a ride in it from one building inside the Kremlin to another on his inauguration day in May. It replaces the stretch Mercedes that had long ferried Putin around. Finns had spotted the cars in Helsinki, but the Kremlin even turned the question of whether Mr Putin would ride in one of them into a mystery. "What car will Vladimir Vladimirovich (Putin) use to move around Helsinki?" an interviewer for pro-Kremlin broadcaster RT asked Putin spokesman Dmitry Peskov in an interview published on Monday. "You'll see," Mr Peskov responded. The two leaders began their highly anticipated meeting with a 90-minute one-on-one session, with only their respective translators in attendance. Before the meeting began at the Presidential Palace in Helsinki, Mr Trump told reporters: “We have a lot of good things to talk about, and things to talk about." "We have discussions on everything from trade to military to missiles to nuclear to China," he added, while seated beside his Russian counterpart. Both leaders then shared a handshake in front of reporters, before heading off for their meeting. The White House tweeted that after the one-on-one session, the two leaders will hold an expanded bilateral meeting and a joint press conference.